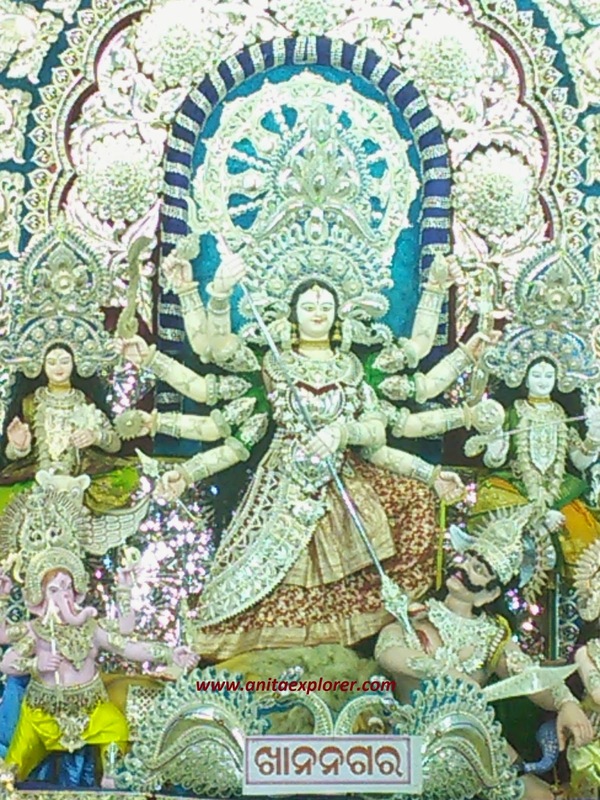 Durga Puja, an important festival of Odisha, India, has been celebrated for centuries here. 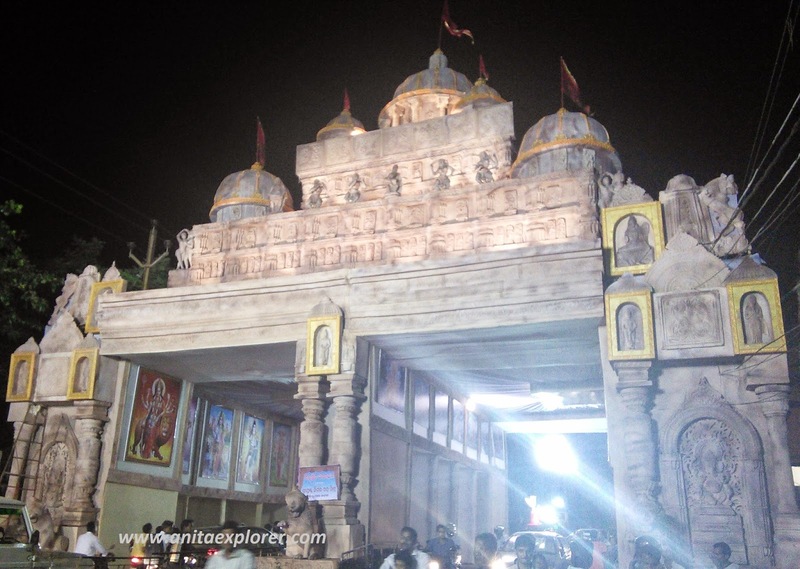 Cuttack, the estwhile capital city of Odisha, has Pandals whose budgets are crores of rupees. Yes, you read it right. Not lakhs, but crores of rupees! 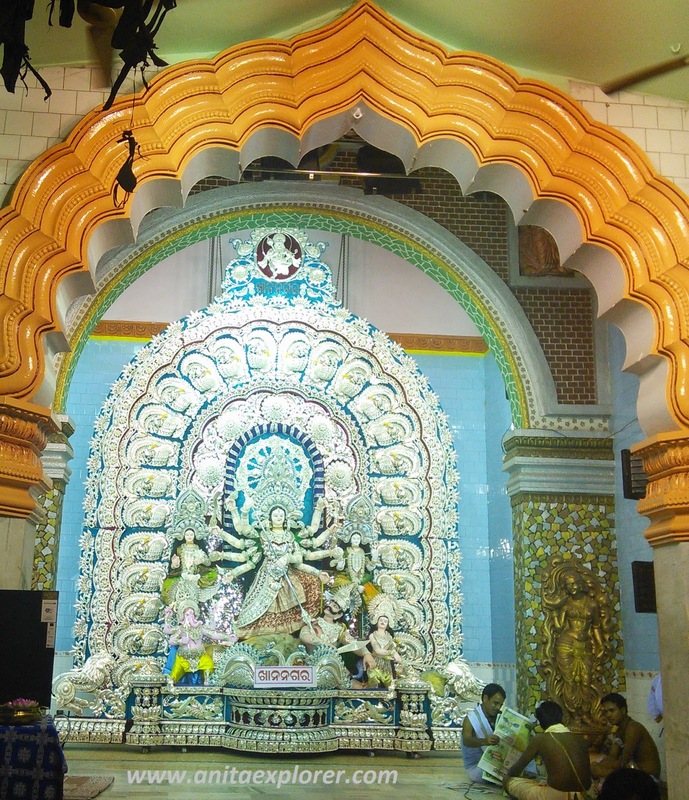 The idols are dressed in pure Gold & Silver-Filigree..
Cuttack is famous for its beautiful Silver-Filigree craft items & jewellery. You must see the intricate designs to believe your eyes. All this makes Cuttack a must-visit, isn't it? This year too, Cuttack had hundreds of Pandals as usual. 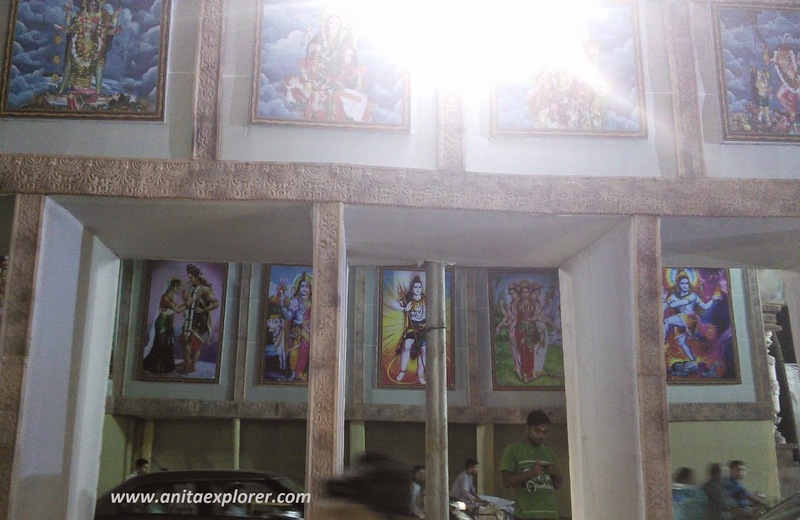 I had the privilege to visit a few of them, but I could manage to click pics only of one- the Khan Nagar Pandal. Its design is based on the famous Akshardham Temple. There was superb lighting on the Cuttack streets & we felt like a trip in Fairyland with pretty colorful lights. 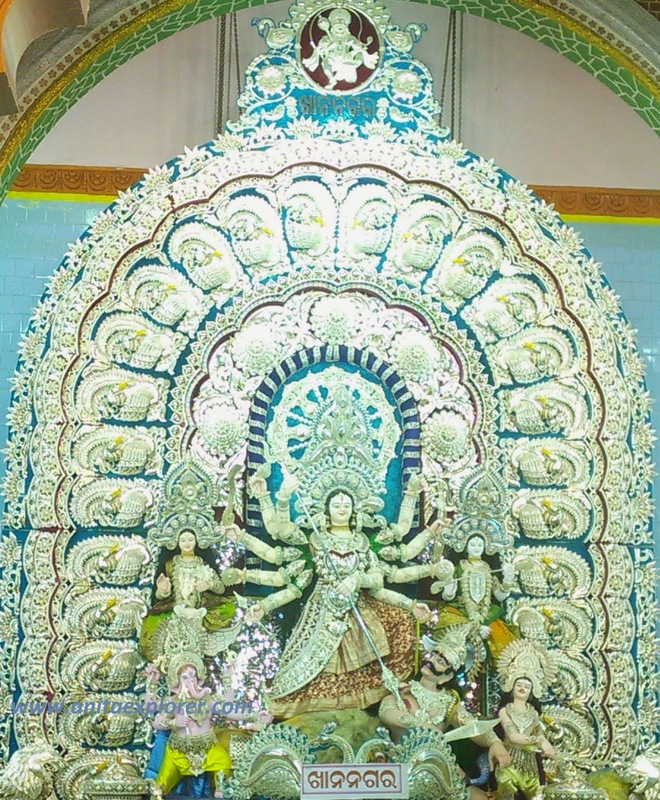 Meanwhile, you can check out more Odisha Durga Puja pics! Wow! Look at the lights. So divine! Hey sh! I'll be sharing the Cuttack Puja lighting pics soon. This is amazing Anita.They spend so much of time effort and money to accomplish this---lovely pics ! Yes Induji! They do :) And look at the spectacular results! Wow! Nice to know that it is pure gold & silver filigree worked jewellery that adourns the Goddess :) Nice clicks!